We measured our beans again on Monday and Antony is still winning the B4 bean race, but he is not winning the bean race for the whole Junior Syndicate. Another bean in B1 was just a bit taller than his bean this week. 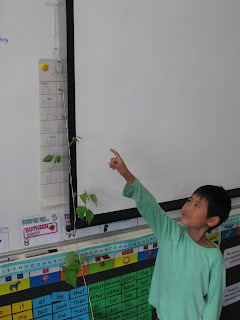 We thought it was interesting because the B1 bean was planted after Antony's bean, but it is now taller than his bean. Maybe Antony's bean is not growing as fast now? 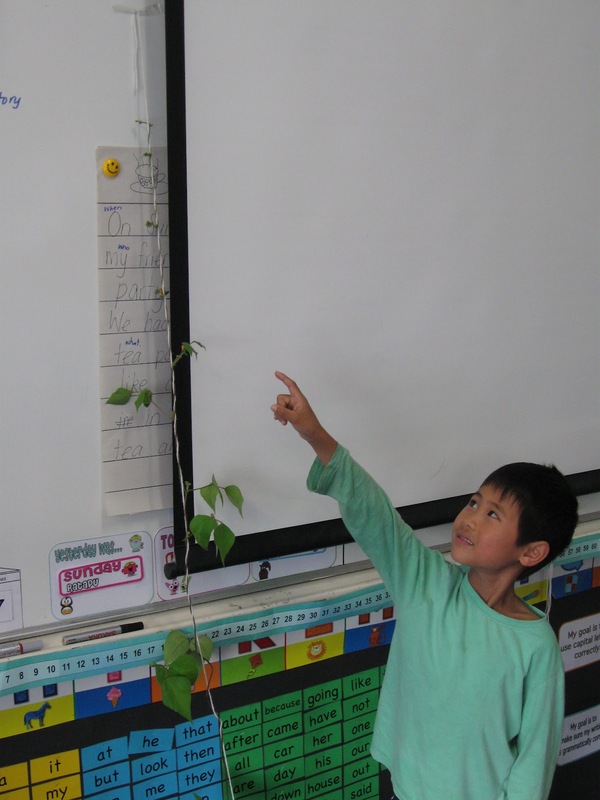 Here is Antony pointing to the top of his ginormous bean plant. It is now 175cm tall, which is just a little bit taller than Mrs Harrington!